Venn diagrams and Euler circles have long been used as a means of expressing relationships among sets using visual metaphors such as “disjointness” and “containment” of topological contours. 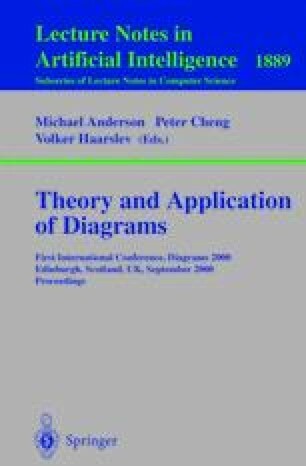 Although the notation is effective in delivering a clear visual modeling of set theoretical relationships, it does not scale well. In this work we study “projection contours”, a new means for presenting sets intersections, which is designed to reduce the clutter in such diagrams. Informally, a projected contour is a contour which describes a set of elements limited to a certain context. The challenge in introducing this notation is in producing precise and consistent semantics for the general case, including a diagram comprising several, possibly interacting, projections, which might even be of the same base set. The semantics investigated here assigns a “positive” meaning to a projection, i.e., based on the list of contours with which it interacts, where contours disjoint to it do not change its semantics. This semantics is produced by a novel Gaussian-like elimination process for solving set equations. In dealing with multiple projections of the same base set, we introduce yet another extension to Venn-Euler diagrams in which the same set can be described by multiple contours. J. Gil and Y. Sorkin. Ensuring constraint diagram’s consistency: the cdeditor user friendly approach. Manuscript, availalble from the second author; a copy of the editor is available as http://www.geocities.com/ysorkin/cdeditor/, Mar. 2000.